The features of the iPhone XS are certainly new for long-time iPhone users, and some of them have been a long time coming. At the same time, around the world, Android fans, apart from brushing up their customary kidney jokes, will be having a sense of deja vu. The morning after the iPhone launch, one thing is pretty clear. The new iPhone XS, iPhone XS Max and the iPhone XR look pretty slick. Apple has built up on the features of the iPhone X and introduced it across the lineup — The edge-to-edge Retina display, the 7nm A12 Bionic processor, real-time machine learning, depth of field control and more. The features are certainly new for long-time iPhone users, and some of them have been a long time coming. At the same time, around the world, Android fans, apart from brushing up their customary kidney jokes, will be having a sense of déjà vu. Depth control? Entry-level Android phones have that! The revolutionary new iPhones seem to be playing catch-up with their Android counterparts and bringing iPhone users up to speed with taken-for-granted technology like Dual SIM and depth control. They should be a humbling experience, not something Phil Schiller should be bragging about. In a typical Apple way, Schiller claimed how the depth control “has not been possible in photography of any type of camera”. That’s blatantly untrue and even a budget Android user will tell you that. Entry-level Honor phones like the Honor 9N have that feature, and so does the flagship Samsung Galaxy Note 9 and Nokia 7 Plus (among many others). Yes, it could be possible that Apple’s implementation could be the best of the lot. The company has a penchant for arriving late but doing things right. 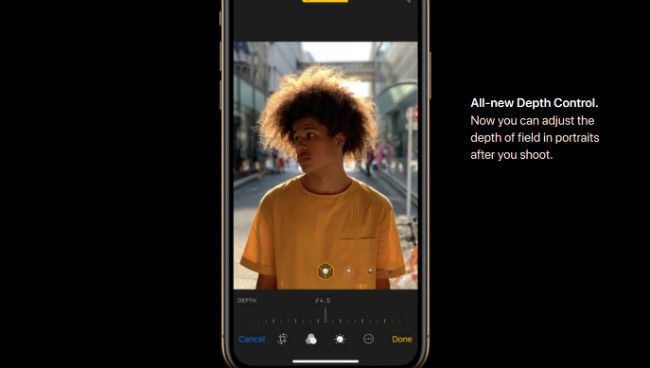 Schiller claimed Apple studied the bokeh effects from point-and-shoots to full-frame DSLRs and based on the photo samples shared in the presentation, it certainly seems like Apple has got it right. The transition from the foreground and the background seems uncannily natural. Credit where credit’s due. 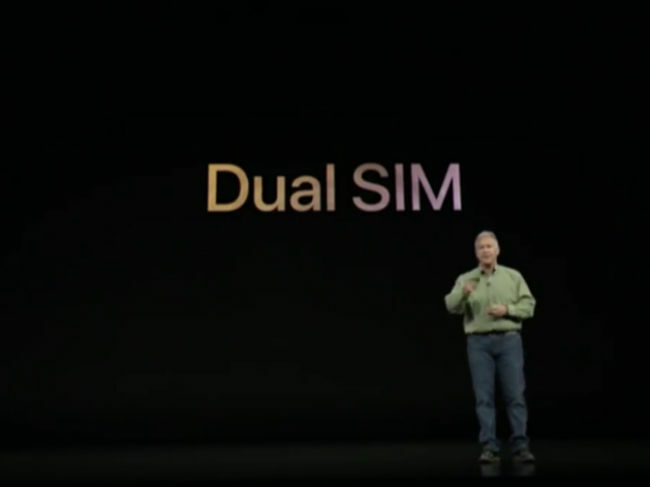 Another of Apple’s big reveal was the support for two SIM cards in the new iPhones. Apple will use one physical nano-SIM slot and an e-SIM, which is somewhat different from other Dual SIM implementation. Although, in China, where e-SIMs are banned, the new iPhones will have two physical SIM slots. 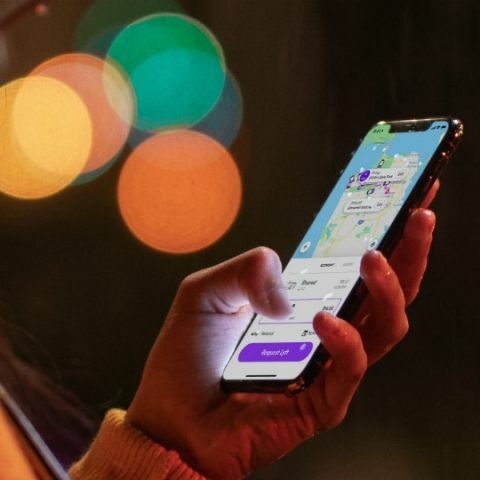 The new iPhones will also have support for Dual Standby where you can rely on the data connection of the second SIM even when you’re on a call on the first SIM card. If all this sounds old to you, that’s because it is. The technology was present in Nokia feature phones in the 2010s in India and ever since in Android phones across all price range. It was one of those features that would discourage a potential iPhone buyer in India, especially since Reliance Jio came and disrupted the market. Samsung used to launch a separate variant of its flagship phones with Dual SIM (The Galaxy Note 4 Duos, Galaxy Note 5 Duos), but even the Korean giant figured it should be a standard across all variants. The trend of using two SIM cards is seen primarily in emerging markets where data costs are still prohibitively expensive (especially in China), which is where Android phones rule the roost. Apple perhaps wants a piece of that cake and Dual SIM support is one way of convincing them. Remember how Google took the world by surprise with the Pixel camera? If you do, Apple’s Smart HDR tech wouldn’t be so enticing. What Apple showed off in the new camera is the more or less similar to what Google does in the HDR+ mode of the Google Pixel. Heck, Google even has a dedicated chip to facilitate HDR+ for other apps. In both cases, there is a multi-frame buffer even befeore you press the shutter button. The camera takes multiple images in different exposures and uses neural networks to analyse and pick the best parts of the images to fuse them into one stunning shot. We’ve seen how well the tech works in the Pixel phones. The low-light imagery of the Pixel 2 XL continues to be class-leading. Apple’s Auto-HDR also wasn’t that far behind. But if you compared the dynamic range of photos where the difference exposure levels in the frame taken by the Pixel 2 XL and the iPhone X, the Pixel 2 came out on top. While we don’t know for sure how well Apple’s Smart HDR feature work to improve the dynamic range, the sample photos shared in the presentation looked pretty convincing. The iPhone Xs will use the eight-core Neural Engine to perform real-time machine learning. 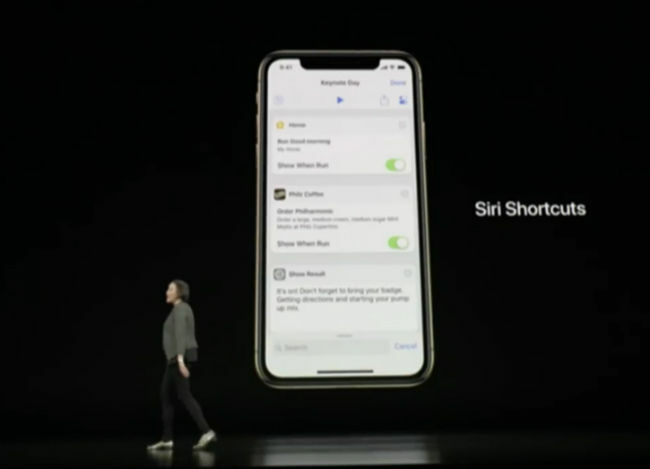 One of the use-case is Siri Shortcuts, where you can set a Hey Siri passphrase to certain app actions. You simply talk to Siri to make apps work. Similarly, in Android 9 Pie, you search for what you need in the Search bar and Google Assistant pulls up relevant actions. Technically, the iPhone Xs will be the first smartphone to come to markets with the feature baked in, but Android fanbois can stay happy with the fact that Google rolled out ‘Slices’ earlier to the Pixel and the Pixel 2 phones a month back in the final release of Android 9.0. Both the iPhone Xs and the iPhone Xs Max are reinforced with surgical steel casing and what Apple claimed “the toughest glass ever used on a phone”, and all that combined lets the iPhone Xs survive for 30 minutes under two meters of water. 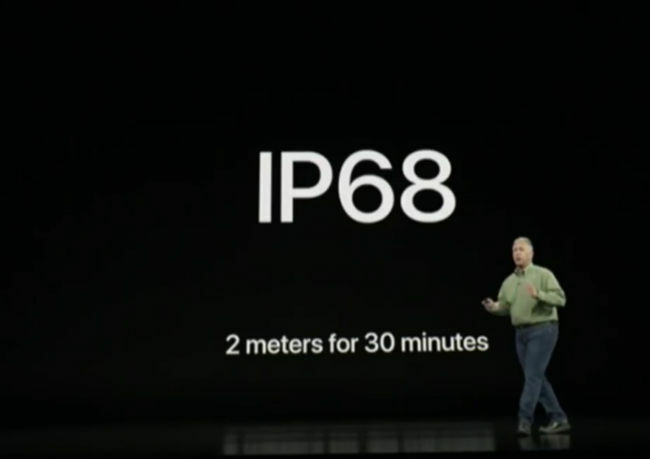 It’s IP 68 water resistant, which should restore faith in users after shelling out Rs 1,44,900 for the iPhone Xs Max 512 GB. At nearly half that price, Samsung (and countless other Android phone makers) have been offering the similar durability. If you’re keeping a count, it was the Samsung Galaxy S7 that had IP68 water resistance, back in 2016. Apple did claim the new iPhones survived in all sorts of liquids — salt water, orange juice, tea, wine, beer. Yet, neither Apple nor Samsung cover water damage under the free warranty service for their devices. You will need to avail their premium accidental damage coverage program for that, and that means paying even more. All said and done, the new lineup of iPhones certainly look impressive. The iPhone X’s breakthroughs — the immersive Retina display, AI capabilities, and the notch, aren’t specialties anymore. They’ll be the new normal for iPhone users in the next few months. And it was about time Apple shook off the form factor of the older iPhones. In that sense, there’s much to celebrate about the new iPhones (no, the price isn’t one of the them!). And truth be told, most of the ‘new’ features of the new iPhones will once again find itself in Android phones, and the cycle will continue. At the end of the day, it won’t matter who came first with the new technology. People will remember who used that technology, the best. what is the weight of iphone?